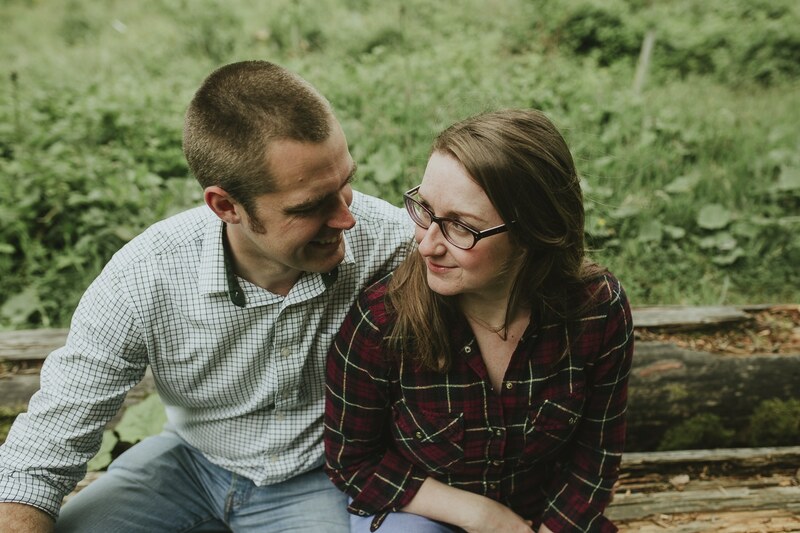 Sarah and Dave are getting married later this year and the other day it was time for their Couple Portrait Session, they both adore Rannerdale, especially when the bluebells are out, so we decided it was a perfect location for their couples shoot. 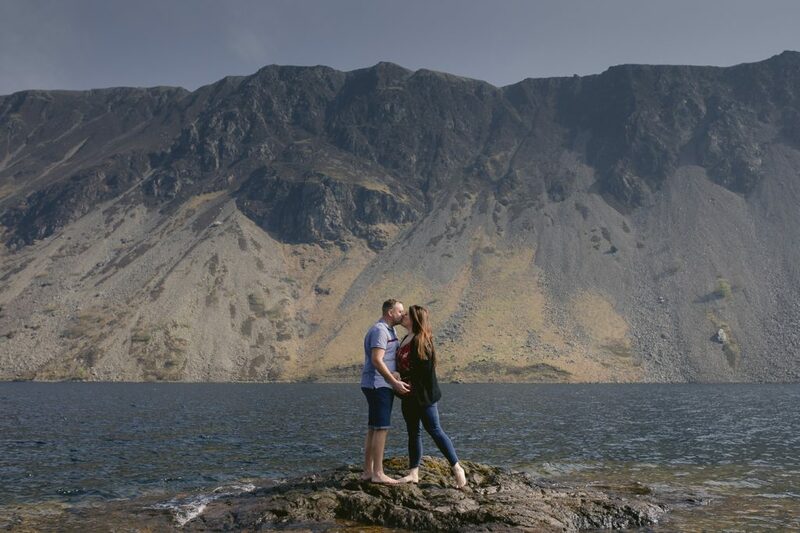 Laura and Martin are getting married at Irton Hall, just down the road from my favourite lake in the lake district, Wastwater. 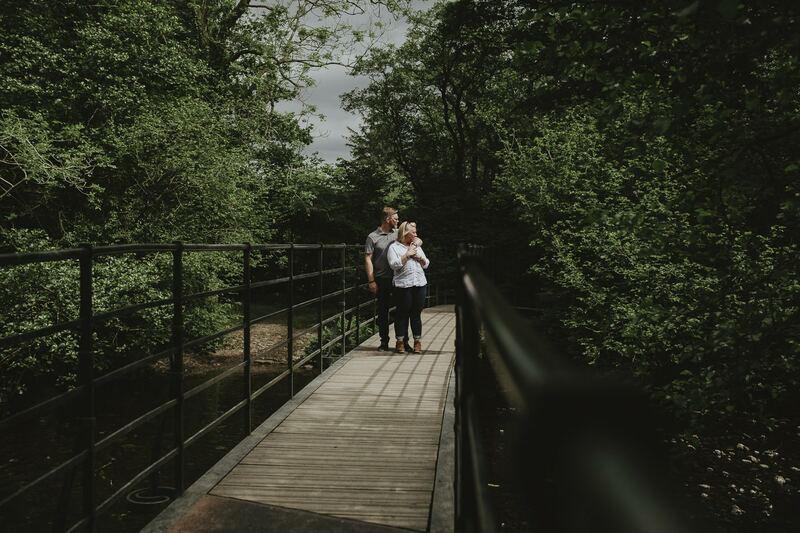 We met up at Irton Hall to talk through their upcoming wedding day and then headed towards the lake. Liz and Neil recently won a Couple Portrait Session on one of my Facebook Giveaways! 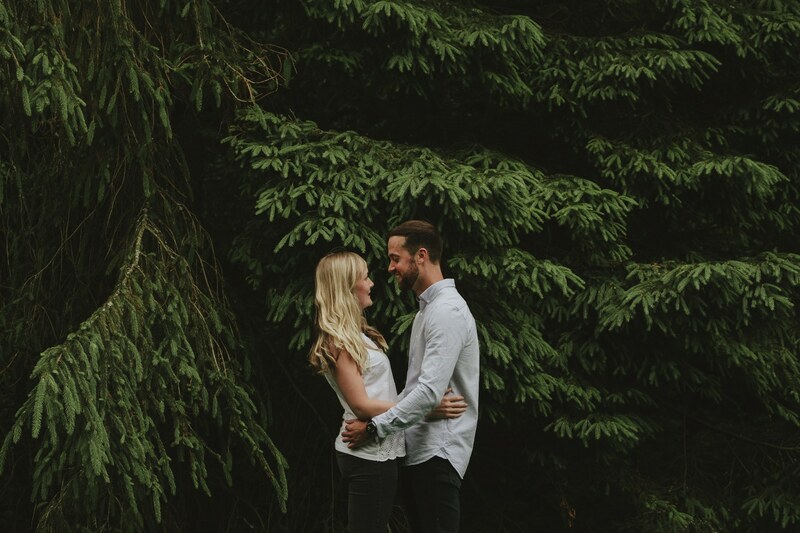 For their Couple Portrait Session, we went to Whinlatter Forest which is where Neil proposed to Liz! Sarah and Ian’s Couple Portrait Session was stunning. Not only was it a fantastic morning in the Lake District, but it also had a little surprise! You may recognise Stephen and Kris from several photo shoots over the last year including their wedding day which you can see here. On their wedding, they told me that they had just found out that they had been accepted to another stage of the adoption process to become fathers. Little did we know or think that in only a few months time, that would happen. In tow was Bruce their black Labrador who is gentle as anything and lots of fun when playing tug of war with on top of Castlehead which is where we started our Derwent Water Couple Portrait Session. 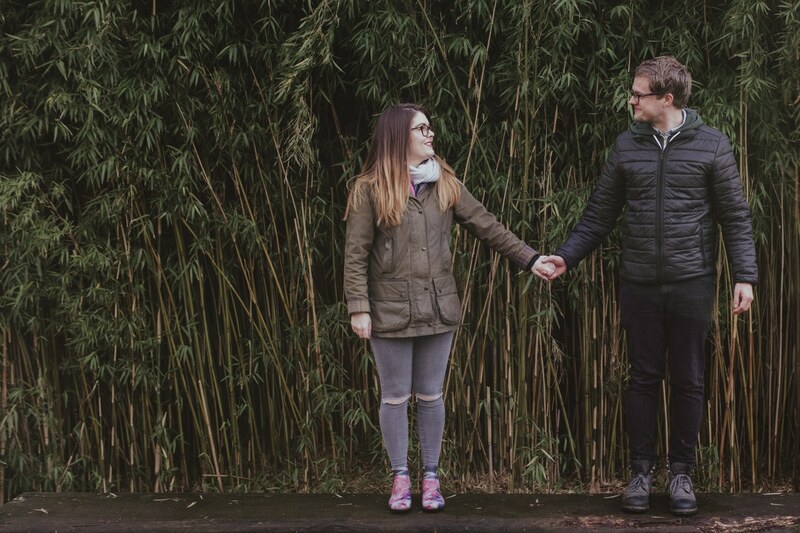 Jess & Jeremy are going to be saying their vows at the incredible Storrs Hall on the shores of Windermere later this year and for their couple portrait session, we decided to go for a little walk up Dodd Wood. 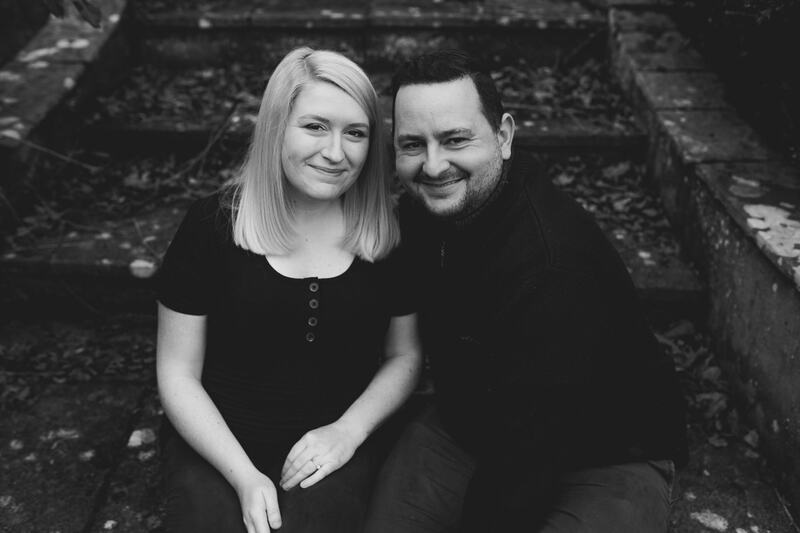 Katy and Glen recently won a Couple Portrait Session on one of my Facebook Giveaways! 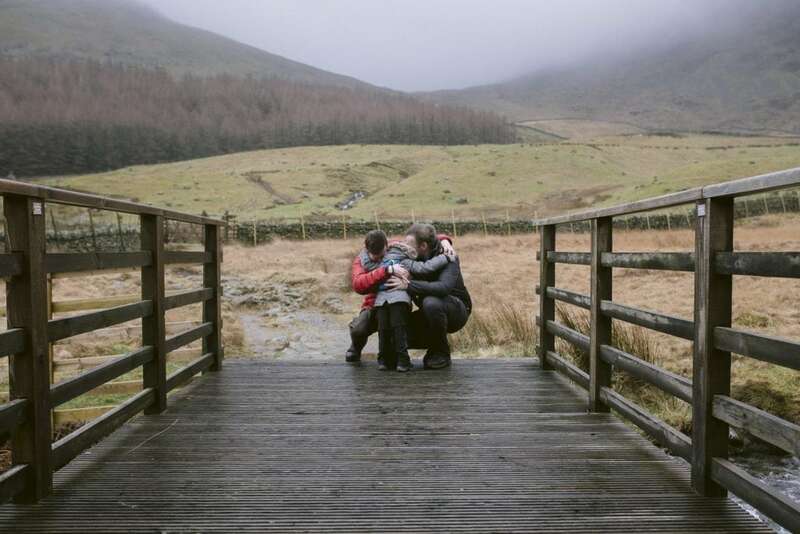 For their shoot, we went to Whinlatter Forest! Pretty much all of my clients, become friends. Becky & Rob started out as clients and after their Couple Portrait Session, we got on like a house on fire... Then it was their wedding day... Post Wedding Portrait Session and now this! Dan and Kim recently won a Couple Portrait Session on one of my Facebook Giveaways! 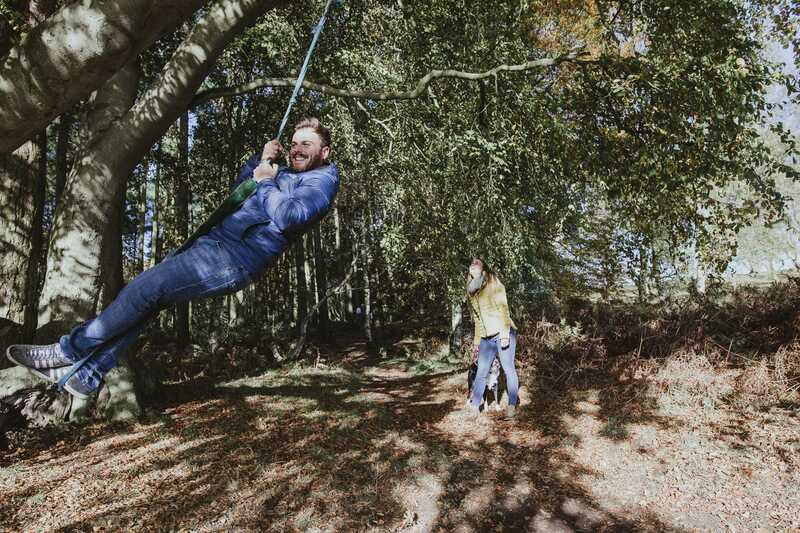 For their shoot, we travelled over Talkin Tarn, just outside of Brampton. Steph and Martin are absolute cuties and I cannot wait to photograph their wedding next year! For their Couple Portrait Session, we decided to keep it local to the village that they live in, just outside of Carlisle, Dalston. 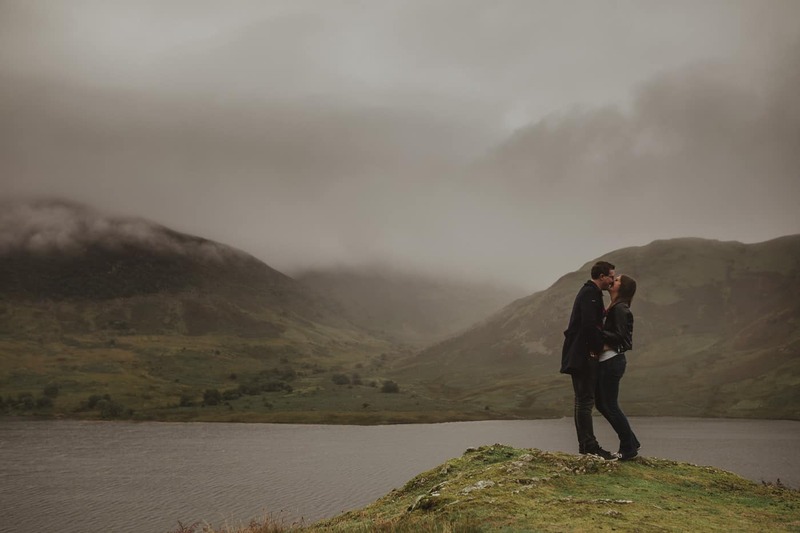 Becky & Rich asked for a typical Lake District day, some lakeside stuff alongside some mountains, and of course, some utterly moody damp weather! 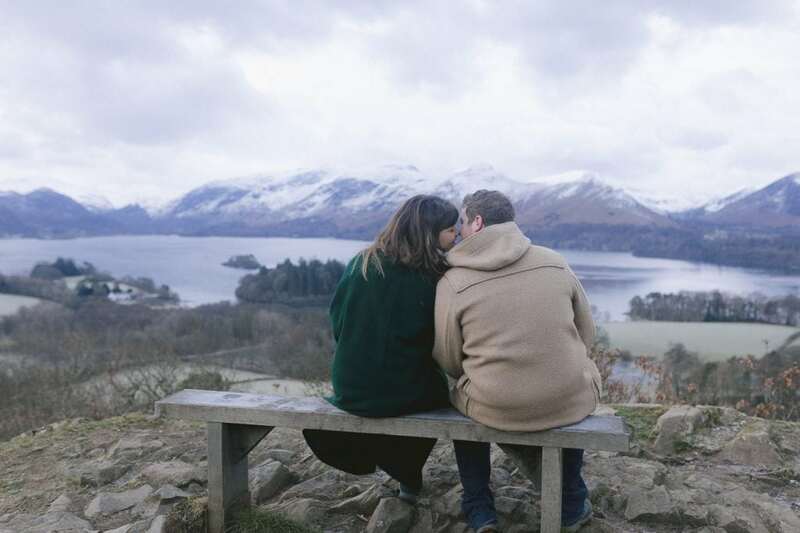 These two beauts live in Paris and are currently planning their wedding to be in The Eskdale Valley, possibly the most remote and gorgeous part of The Lake District. 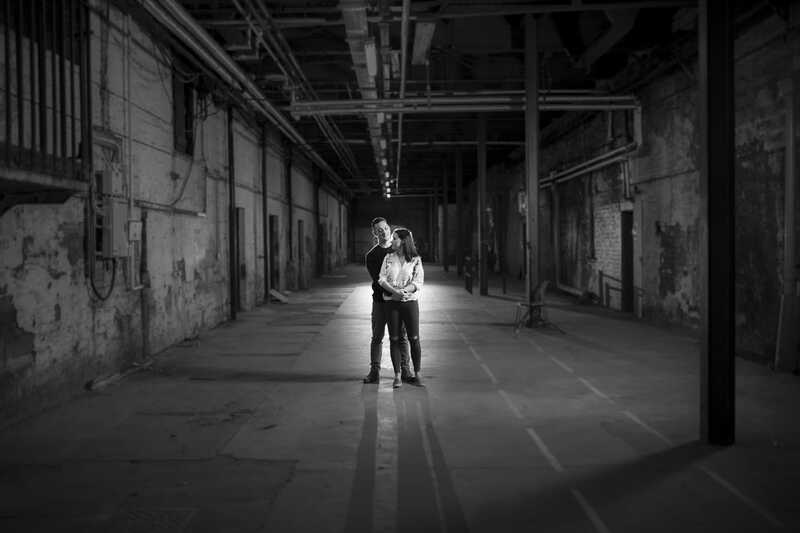 Carys and Jack won their Couple Portrait Session on one of my Facebook Giveaways! 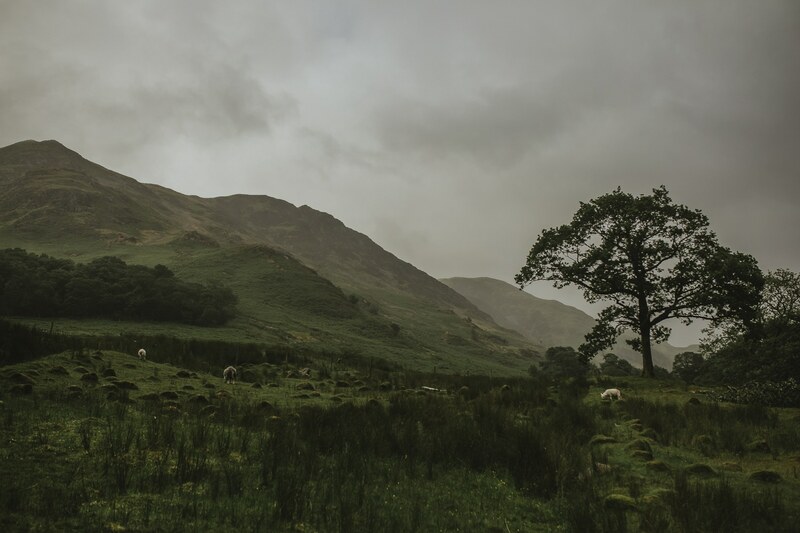 For their shoot, we travelled over to the windy roads of Martindale, a beautiful part of Ullswater. The plan was simple, to meet up at Syke Farm tea rooms and then venture down to the lakeshore for a Dog Walking Couple Portrait Session. They have been together for 18 years and have been married for nearly 10 years, true childhood sweethearts! It wasn't love at first sight mind, although they were in the same form in their first year of secondary school. As Chris was a "farmer type" and Beccie was deemed a "townie" ended up having their own Romeo and Juliet story. Needless to say, the hostility didn't last long and slowly their friendship and the relationship grew. Needless to say, Lauren and Scott are both rather beautiful and, even if they don't believe it, naturals in front of the camera! 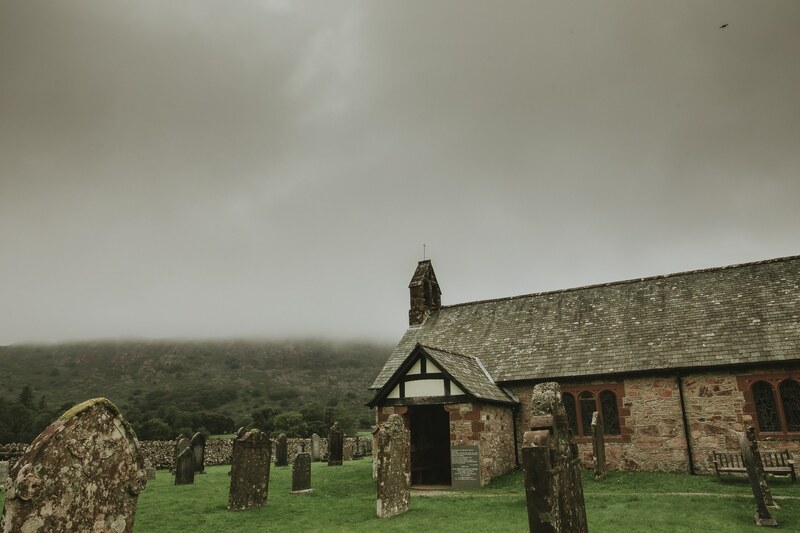 The location of choice was Grayrigg, a small village near Kendal just outside of the Lake District. It is in fact where this stunning couple are going to say their vows in the very near future! 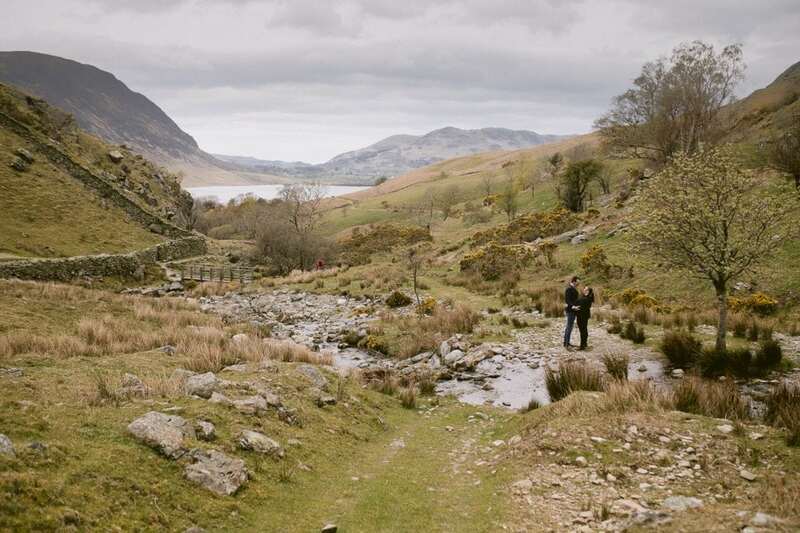 They're both natural adventures, and so the great Grayrigg adventure began. 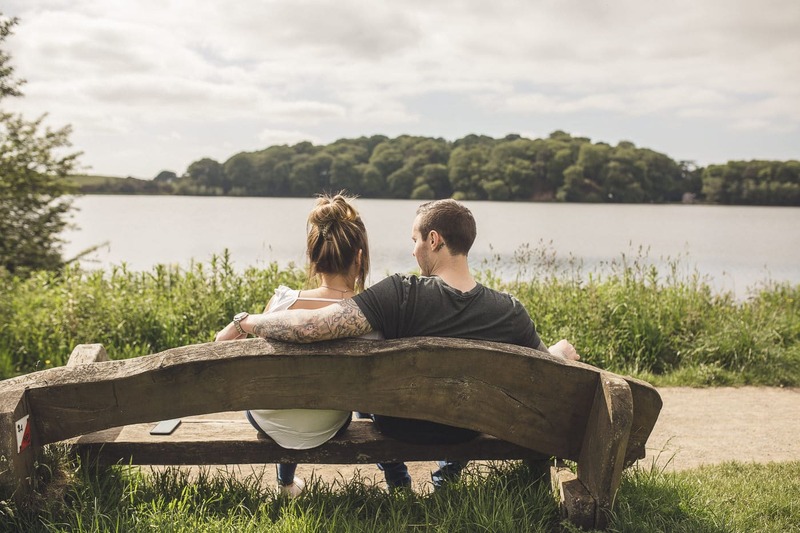 Emma & Adams Couple Portrait Session was at Talkin Tarn. You know its good when a horse photobombs you! Annmarie and Hal won their Couple Portrait Session on one of my Facebook Giveaways! For their shoot, we travelled over to the incredible Rydal Caves. 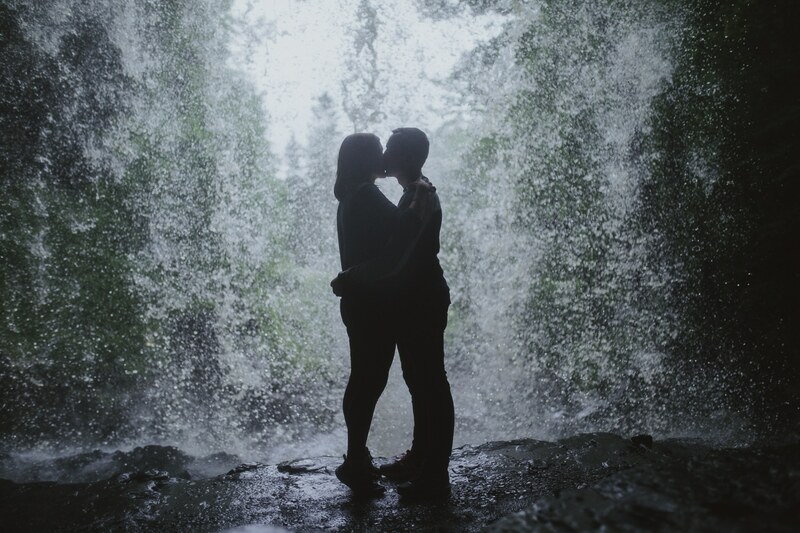 Andy and Alicia won their Couple Portrait Session on one of my Facebook Giveaways! 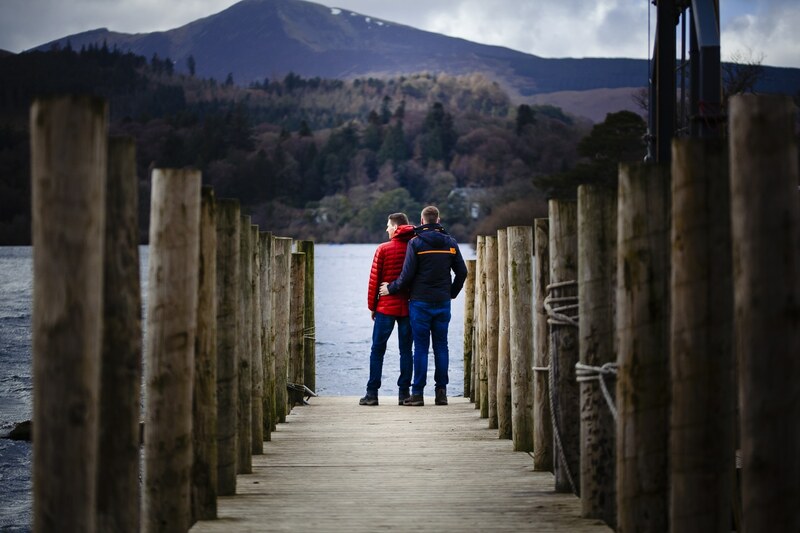 For their shoot, we travelled over to the ever stunning Derwent Water. Surprise view, ill never get bored of it, so gorgeous! Self-confessed not coupley couple Shiona & Ryan may have got lost on their way to our shoot but once they arrived it was amazing! After showing them the stunning surprise view we walked and talked our way up and down the tracks away from all of the tourists enjoying a sunny Sunday in the lakes. 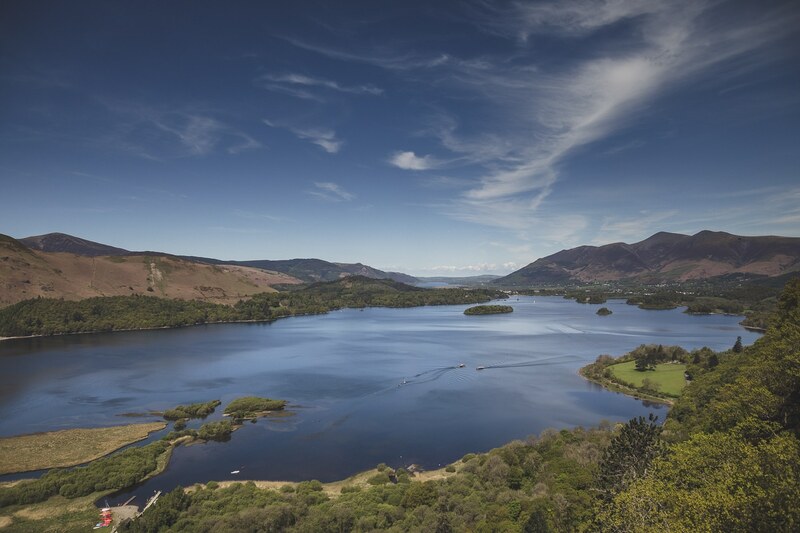 We started out near the Theatre by the lake and walked up towards a little craggy hill (somewhere near Walla Crag but I can't remember its name, my bad) before heading back down to the shoreline of Derwent water and heading back to the cars. All the while, we spoke about the upcoming wedding day plans and all the fun that will happen, even a surprise, so if you're a guest of this amazing wedding, you're in for a treat! Woohoo! It never freakin snows in Carlisle! Somehow everywhere around us gets snow but never us. That was until, the bitchin beast from the east struck! With short notice and some social media scouting, I managed to organise a couple portrait session with Hannah & Michael! Sometimes you just have to JUMP! 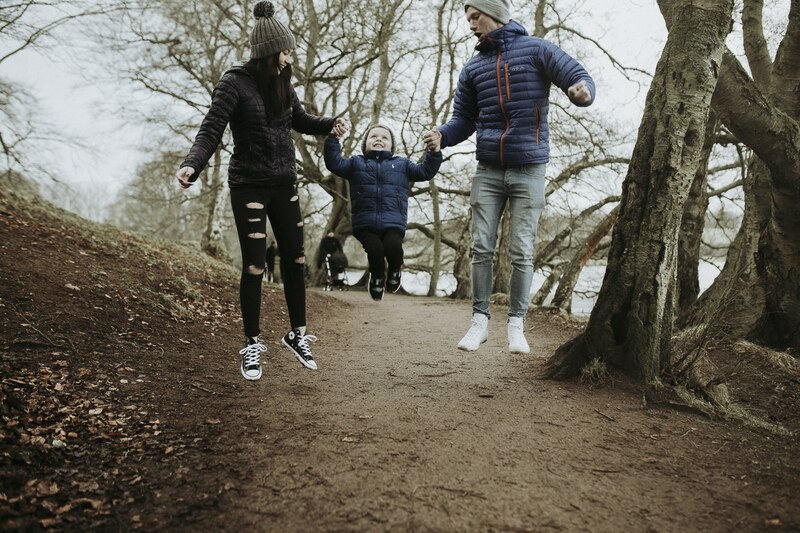 Dylan, while at first shy, was loving jumping all over the puddles and walking around Talkin Tarn with his mum and dad Luci & Ste earlier today. for their Couple Portrait Session + One. 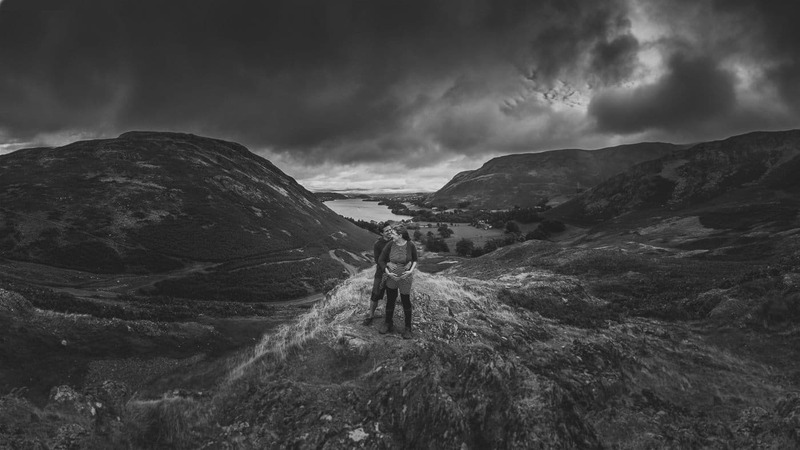 Cumbria is beautiful, and its weather is sure unpredictable as we found out on this Lake District Couple Portrait Session with Stephen & Kris. 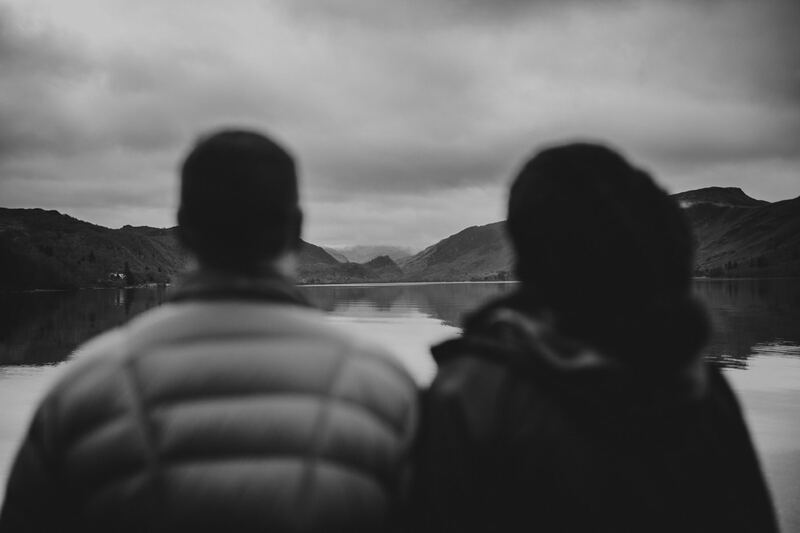 Aira Force was beautiful though and the perfect backdrop for this handsome couple. 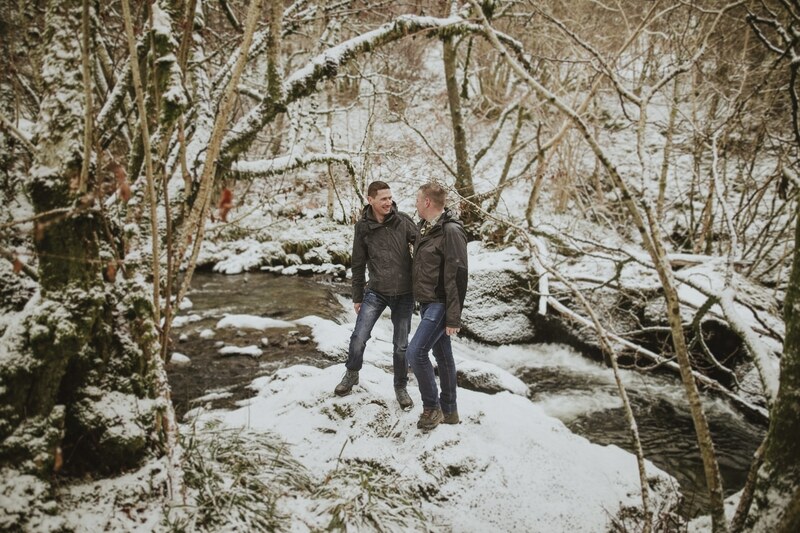 Both currently living in Scotland they decided to travel back to the lakes where Dave has strong family connections and memories for their couple portrait session. They are getting married next year in the tiny village of Tayvallich on the west coast of Scotland. It's around 2.5hrs from Glasgow by car and is absolutely stunning. Their University love story started while in freshers 7 years ago and they are honestly inseparable. To tell you the truth, I don’t think the world would have it any other way, they're just made for each other. At the age of 17 they started becoming more than just friends and now years later they are to become husband and wife! Honestly, these guys are so on the same page it's amazing. Just watching how they look, laugh and hold each other is incredible to watch and a wonderful thing to witness. 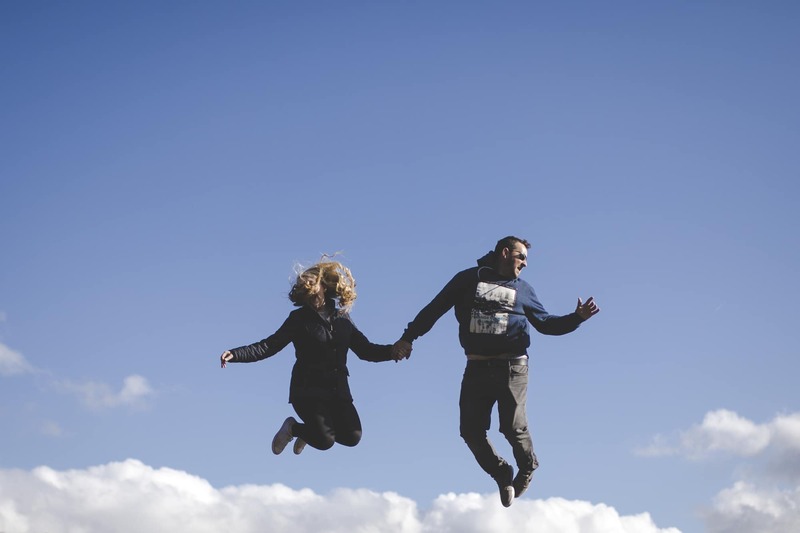 couple portrait session at Allonby beach on the Cumbrian coast. It was a beautiful afternoon with the sun shining its gorgeous red tones over the sands and far away hills of Scotland. So that was the plan a countryside couple portrait session. To keep it simple, Just beautifully honest and true. Exactly what I’m about! We had great fun in the autumnal woodlands by the shore of Derwent Water. Anna & Lee are engaged to be married in only a few months time so it was a perfect opportunity for a couples portrait session. An Underground Derelict and potentially haunted Railway Station? 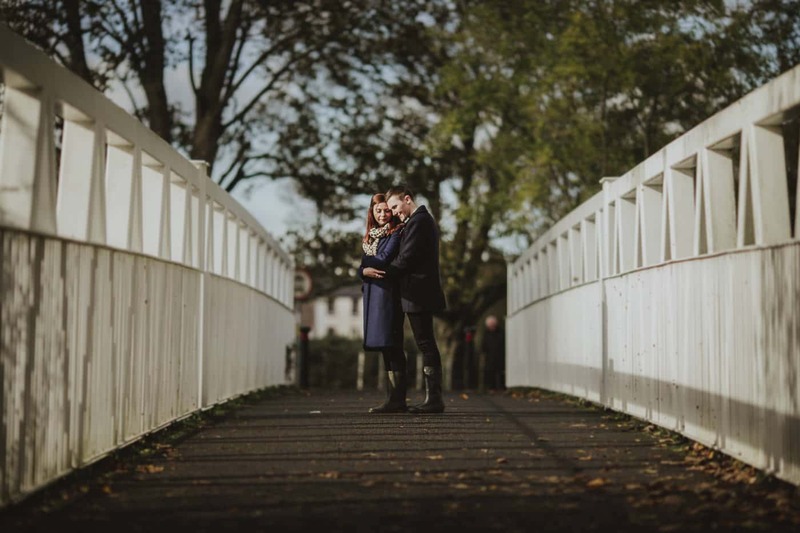 What more could you ask for on a Couples Portrait Session in Carlisle? Hidden away in the Cumbrian landscape lays a hidden waterfall cascading down the valley. A stunning backdrop for this gorgeous couple. Firstly congratulations to Melissa & Adam for their first year anniversary yesterday! 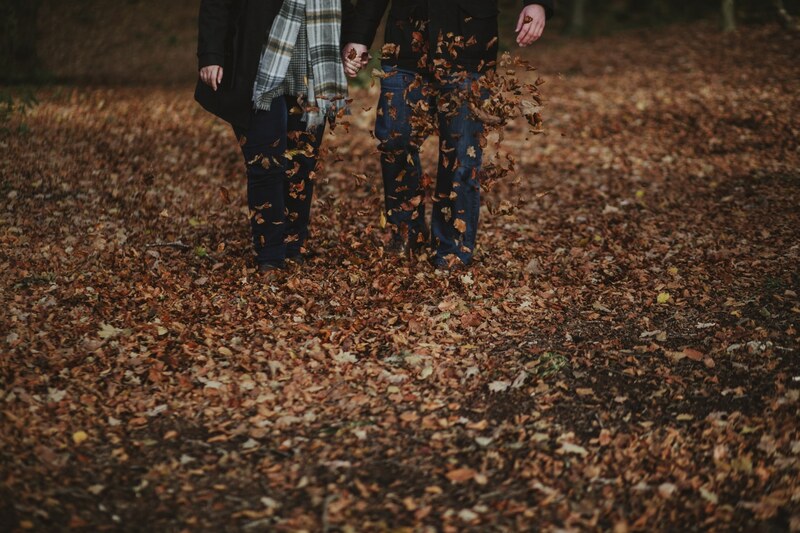 Melissa emailed me about a couples portrait session in celebration of this awesome day. 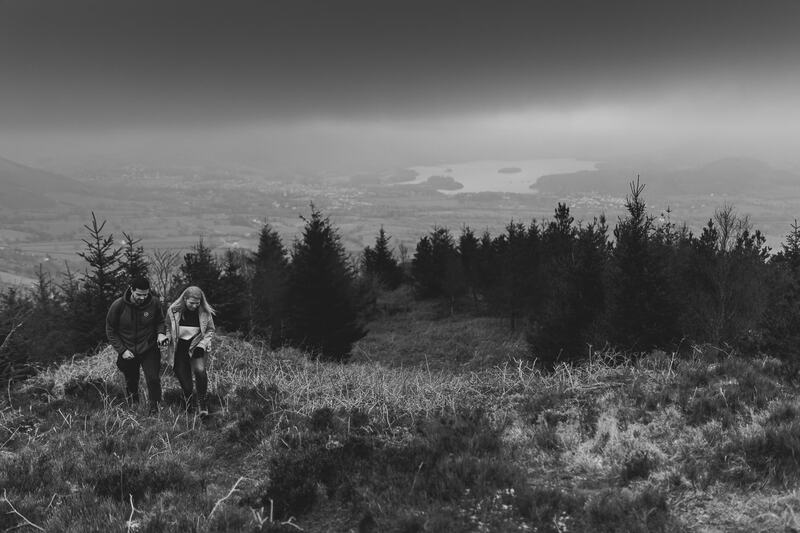 Jade & Neil Lake District Couples Portrait Session in Grizedale Forest. 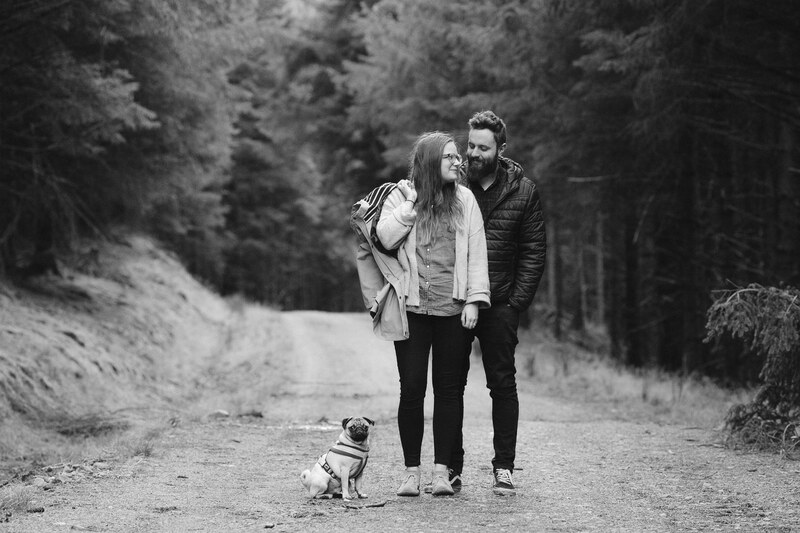 Grizedale Forest in the Lake District is a beautiful forest and its where Jade & Neil chose to have their couples portrait session. 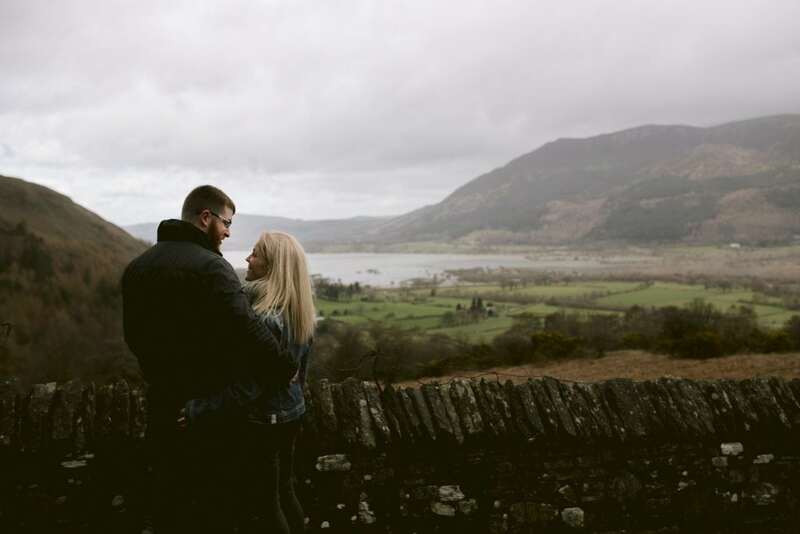 It was Neils birthday and they were up in the lakes for a nice weekend away so it made sense for us to combine it all with their couples portrait session before their wedding next year. When we got to the top though... What. A. View. 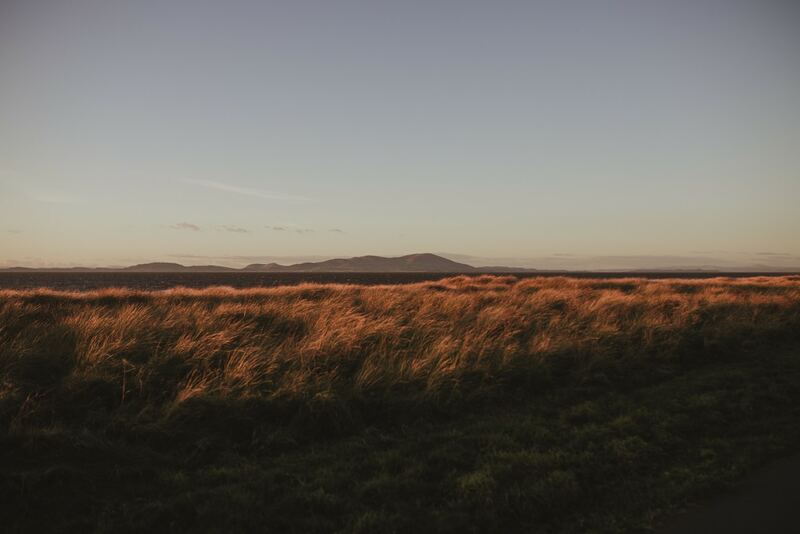 Standing on top of a small fell with this gorgeous couple was honestly fab!